Obesity; one of the leading causes of heart disease, diabetes, high blood pressure, cancer etc. in the world today. The fundamentals of weight loss are simple: the energy you burn must be greater than the energy you intake. However, what with the fast paced life that we lead today, most people simply do not have the time to work out and burn the excess calories that they intake. This is where weight loss pills come in. Now, on the internet there are several companies that advertise weight loss pills promising effects within as less as a week. Most of these companies are using it as a gimmick and nothing more. 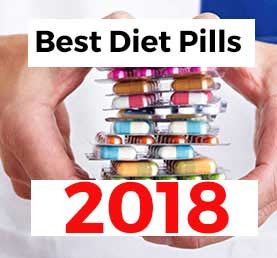 Their weight loss pills haven’t been scientifically proven to aid in burning fat nor have there been any positive results from customers who have in fact used these pills. For medically proven weight loss supplements, the best thing to do is consult a doctor and have him/her prescribe a suitable pill in regards to your height, weight and BMI. Before getting a prescription weight loss drug it is important that your doctor has full information regarding your medical history. This includes any allergies you may have or any medicines you might take, whether you’re pregnant or breastfeeding or even planning to conceive soon in the future. The drugs given below have been approved by the FDA, i.e. they have been tested clinically and the results have been positive. It was found that each drug helped every person lose at least 5% of their body fat after one year. 1. Orlistat: These are lipase inhibitors; they prevent your intestines from absorbing all of the fat coming through your body. It works best for those people who have to lose less than 10% of their body weight. 2. Naltrexone and Bupropion: The former being an opioid inhibitor and the latter an anti-depressant. Bupropion on its own is capable of decreasing hunger pangs however it increases the production of certain opioids in the brain that stops you from ever feeling full; which is where Naltrexone comes in. The two drugs work together to suppress your appetite. 3. Lorcserin: A serotonin receptor agonist i.e. this drug tricks your body into thinking it’s full. When paired with a healthy diet and good exercise regime it usually helps people lose weight within 3 months. 4. Phentermine and Topiramate: Phentermine decreases your appetite whiles topiramate makes your body feel full. While the drugs given above have been proven to work it is advisable to go consult a doctor before taking any of these.